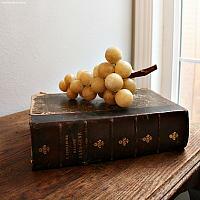 Decorative and quite beautiful early Italian Sculpture of Golden Alabaster Stone Grapes, with an authentic grape vine. Most likely made in Volterra, Italy - The Home of Alabaster. Oversized, each grape was hand sculpted, hand painted and then individually wired onto the natural twisted grapevine stem. Gorgeous colors, one grape has a dark part, which I love. 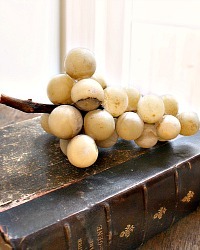 One grape has gone missing over the decades. 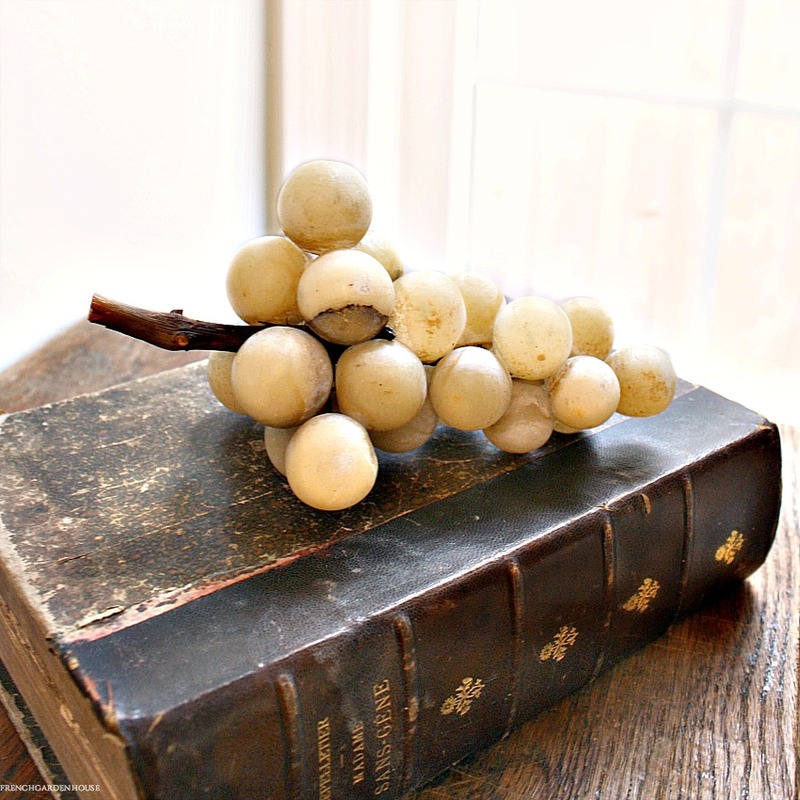 Beautiful aged patina, display on an antique French book, on your desk, or in your bookshelf with your antique fruit collection.